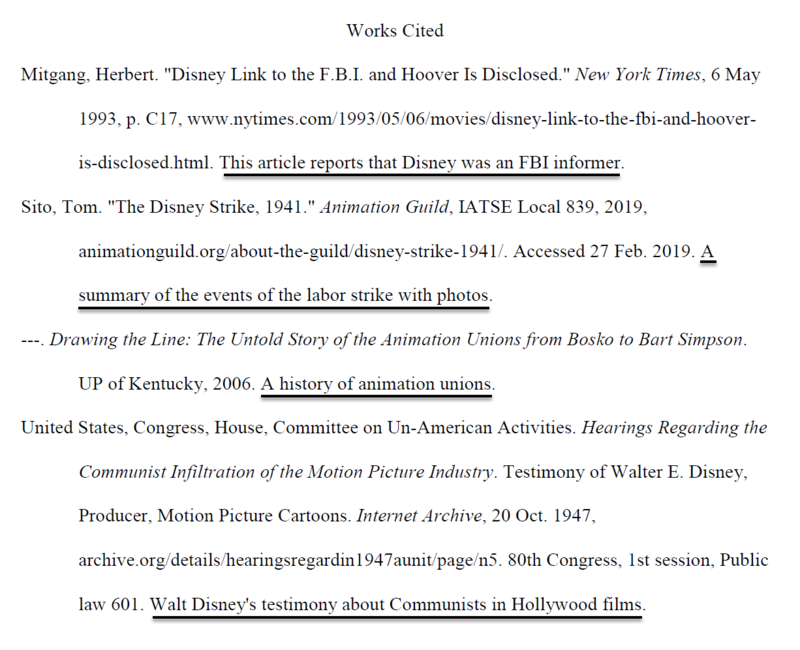 An Annotated Bibliography consists of alphabetically organized entries in Chicago (14.64) or MLA, but not APA, style followed by brief comments. These annotations range from a short phrase or sentence to a paragraph of about 100-300 words. A descriptive annotation describes the source. A critical annotation evaluates the source and compares it to others. What’s the scope and purpose? Why is the author an expert? After a good draft of the paper or product has been developed, the source’s specific value to the research process will become clearer. Question #1: What's the scope and purpose? A descriptive annotation briefly explains the document’s content, coverage or scope. Consider the time and format of publication and the author’s purpose and audience. Choose language that shows how the entry is related to the topic. These annotations are either concise phrases or single sentences. Question #2: Why is the author an expert? A slightly longer annotation includes the author’s relevant credentials or expertise. Notice why the description of the author’s expertise changes in the two entries by Tom Sito below. Annotations explain why the author of the source is a credible expert. Question #3: What's the source's value? Learning: Has the source contributed to your knowledge, interpretation or empathy? Creating or Writing: Is the source being used to substantiate an argument or thesis? Does it amplify an interpretation or help refute a claim? Is the product stronger, clearer and more accurate as a result? The usefulness of a source is easier to appreciate after a rough draft has been written. In fact, explaining its value in the annotation may prompt you to make more effective use of it. A description of the requirements for a National History Day annotated bibliography. R = Redundancy. Is each source of unique value? Delete those that pad but don’t add! (Don’t worry, they can be undeleted if you change your mind.). A = Authority. What relevant knowledge or expertise does this author bring to this topic? Identify specialization, not just general credentials. C = Context. How does the historical context (the time and circumstances of its creation) and/or the publishing context (the process and format of its publication) relate to the topic? U = Use. Why was this document useful? Indicate it’s unique value for learning about the topic and/or writing the argument or creating the product. Get a jump on the 2019-2020 school year and contest season by attending our teacher professional development session offered by National History Day® during the National Contest. An annotated bibliography is an intellectual roadmap to a topic, evidence of the writer’s authority. 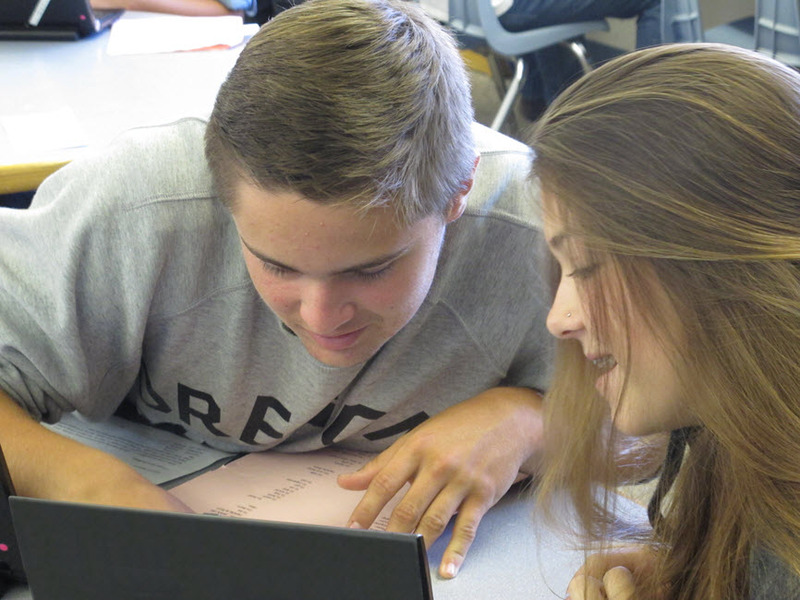 As students curate historical sources for their NHD projects, they naturally perform a series of judgment calls to select relevant documents, then curate essential ones for their bibliographies. 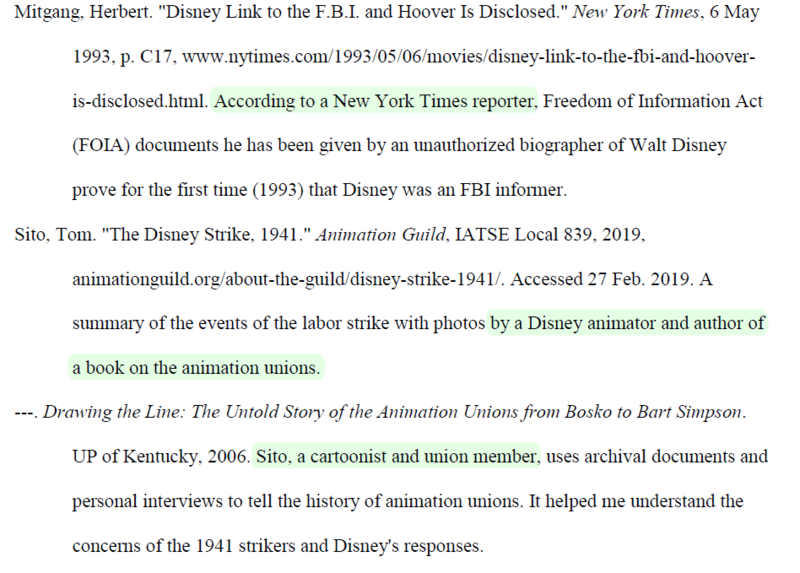 While we teach them the historian’s thinking skills of sourcing, contextualizing and corroborating, their project annotations do not always reveal the depth of their thinking. During this workshop, we will deconstruct the process of crafting descriptive and critical annotations, then develop a plan for delivering targeted instruction in manageable chunks. By focusing on annotations, we can help students practice and polish the historical thinking skills that build their credibility with an audience. Bring your own laptop and leave each session with strategies and materials to use in September. Certificates of professional development will be offered. You can register for these programs when you register to attend the National Contest. NHD is asking a modest fee of $50 for one day of sessions or $90 for both days of sessions. Come Meet Us at NHD! We’re looking forward to meeting you at the 2019 National History Day Contest at the University of Maryland, College Park, in June. Last year, over half a million students from every state, Washington, D.C., American Samoa, Guam, Puerto Rico, and international schools in South Korea, South Asia, and China entered the competition. Our subscribers’ energy and enthusiasm have been palpable during second semester, especially from February through April. Teachers and librarians have been amazing coaches, monitoring their students’ work and supporting the development of original historical research projects. 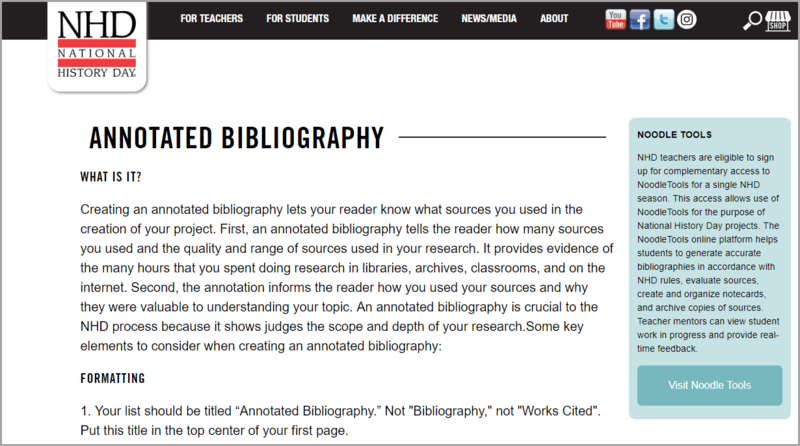 NoodleTools experts (with special thanks to some GODORT librarians) have been responding to questions about identifying primary vs. secondary sources, citing documents in archives, and correctly formatting footnotes or in-text references to support the process of creating annotated bibliographies whick are required in every NHD category. Over many years we’ve helped thousands of students at the local, state, affiliate and national levels prepare entries in five categories. In 2013 NoodleTools was selected to become NHD’s preferred research platform. We’re proud to be officially part of NHD’s amazing process dedicated to teaching historical thinking and rigorous scholarship. Last year about 25,000 entries (5%) advanced to a state or affiliate competition, of which 127 went on to win an award and 74 received special prizes at the national level. If your student is one of the ~3000 (3%) who has been invited to compete nationally this year, or if you’re coming to College Park to participate in NHD’s rich professional development days, please introduce yourself. We’d love to meet you! Next Article: Using G Suite SSO? Here’s the workaround for Google bug causing a “502 error” this week.